To offer a blog post this morning that does not lift up the recent tragedy in Florida seems unthinkable- social media has been flooded in the past three days with calls for prayer and action, outrage, despair, grief and sorrow. I have watched this week as posts on Facebook have exploded like land mines- a call to prayer is criticized for being “not enough,” a call in another post to shut down the corrupt political machine fueled by the NRA turns into a battle over Second Amendment rights, a third post that begins with a plea for gun law reform (banning bump stocks and assault rifles) takes a strange turn towards demanding the banning of all immigration into our country. There has been finger pointing; disrespectful, narrow, angry “dialogue” and unhelpful assumptions made in these pages. America is bleeding words and in great pain. As a religious leader, I will always begin with and return to prayer. Action is also an integral part of the Christian Way; I will act, and have offered avenues for others to join me. Jesus told us to feed the hungry, and bind up the wounds of those who are bleeding and to clothe the naked, not only to pray about them. I will do that. I hope that those of you who are looking for leadership in your religious and spiritual journey through the chaos and pain that our country is in today will join together and follow the leaders whom you find inspiring and powerful. Spiritual practices and religious communities are important in these times. My first impulse, deep inside, in moments of sorrow and tragedy like this is to want to move far, far, far away to an island in Maine. 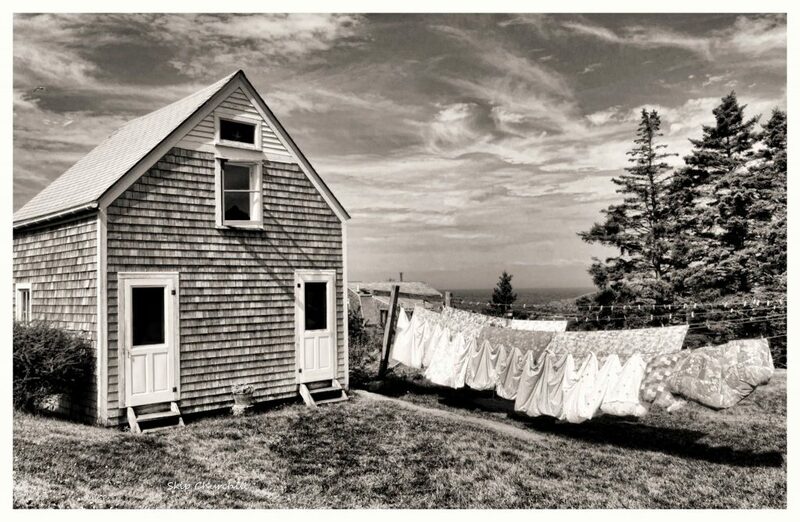 To find a small house on a windswept bluff with a calico cat, white curtains blowing in the breeze and a cup of lemon verbena tea waiting for me on the soft pine kitchen table. To fill my days with gardening, reading, meditating, swimming, praying and cooking. To knead bread and train sweet pea vines around the doorway. This is an “escape fantasy” that is my release valve when I am overwhelmed. And, it is thoroughly un-Christian. While the Christian tradition does have a place for hermits, or “solitaries,” the real challenge of the Christian life is to live in community and to practice the tenets of our faith- striving for love, justice and peace- in the middle of our world- in its beauty and in its messes, in the moments of joy and in the horror of school shootings. And so- I have never left, in real time, for that Maine cabin, but have only allowed my mind to go there, briefly, as I gather strength and courage and energy for living the Christian Way. I am, right now, a little overwhelmed by the vitriol on Facebook as we seek to blame anyone other than our own selves for this tragedy, and, honestly, I am prepared to be equally despairing when, in a week’s time, we will be back to posting pictures of funny animal antics and what’s on our dinner plates. What practices are you engaged in that not only soothe your troubled soul, but lead towards change and healing? What do you need from Christian community right now? I confess I am just so thankful on days like these past ones, that I live in a country (Switzerland) that is relatively safe. Though, of course, something similar to Florida could happen here too. But when I consider your situation in the US, I bleed for you and your anguish and pain. As a human being who is also a Christian, I feel SOOO very helpless and useless. What can I do? from here? I can only pray, not only for those who have lost loved ones and friends and for those who are traumatised, but also for you, the American people. How can you possibly cope with such horror? Once would be horror enough! But it keeps happening, and no-one seems able/willing to change things for the better! Despair indeed. I am extremely frustrated that this is the norm is the USA. The USA is the only place in the world where this happens…regularly. Congress ‘ inaction is a result of selling their souls to the gun lobby. The president is on that side too. so it seems little will change. My heart aches every time these tragedies occur. I frequently go to Maine and dream of my fantasy world when I am feeling overwhelmed by things totally out of my control. My Maine is a bit warmer. I KNOW that I am just a guy. But it seems impossible to overthrow the NRA. I saw a video on You tube of a guy, called Ed — A Petition For Stronger Gun Laws. Ed, Who walks into his former place of work; past the receptionist and into the work space and finds his former boss. Ed raises his rifle and aims and shoots at his ex-boss and misses. He then has to re-load. Ed has a musket and everyone flees and Ed is taking a minute to load his musket. It the says “Guns have changed. Shouldn’t our Gun laws?” It is how I feel. I become cynical when I hear the boilerplate response. Sending thoughts and prayers. I am in sales. I have a social media platform. Sales 101 states don’t ever talk about politics and religion because you are bound to offend everyone. Well I am about to say “Screw it!” Something must be done!!!! I wish I had the right answer but I don’t. I do know Kids can’t Die in school. Praying about it is not enough. There must be some action. Blood is on politicians hands, Things must change. Thanks, Joe- So much of what you say resonates with me, including your frustration and anguish. It is hard to be in the middle of something like this with the feeling of powerlessness that you describe. I hope that we can join together and take action. On May 20 the Heeding God’s Call group is planning a rally against gun violence that has been in the works before Parkland. I will be there. Where would that take place? Heather- we need your prayers. Thank you. I have written elsewhere that we, as a nation, are as addicted to violence as any addict is to heroin or any alcoholic to booze. And, like drug addiction or alcoholism, this is a profoundly spiritual problem with immediate and dreadful consequences. My answer, the answer of many alcoholics and addicts, is to turn our lives over to our “higher power” which, in this case, would be a willingness to enact effective gun control laws. This solution , if you will, makes many uncomfortable because it brings God into the equation. But to whom shall we go? You have the words of eternal life. This is not a call for a Christian nation, but a call for Christians to use all the resources at our disposal to effect change and to recognize this problem for what it is. Perhaps we need a 12 step group for those addicted to violence – which would be many of us because it is in the air we breathe and the water we drink. Joe- there is a rally shaping up for Harrisburg. It was scheduled for May 20 but I just heard today that the date may change as it is a major Jewish holiday. 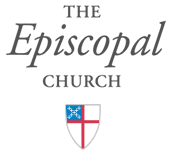 There is also a rally scheduled for March 21 in Philly, “Demand the Ban” (on assault rifles) which, sadly, I cannot make due to another important diocesan engagement. When I learn more, I’ll post on my FB page. The last day we were unlocked was in 2001. An intruder with a machete at North Hopewell-Winterstown Elementary School injured the principal and two kindergarten teachers, just 12 miles from my school in rural Southern York County. Entrances were redesigned, keycards were issued, we began challenging strangers, and we started practicing locking kids in storage areas. In 2006, just 30 miles from home, a man known to his community entered a one room Amish school tucked away in a meadow and killed ten little girls. Clearly this sort of violence could happen anywhere. The West Nickel Mines School was torn down and the Episcopal Church raised money for a new school to serve the community. The memory of the tragedy remains in that community. As a teacher, I have an obligation to provide a safe place for my students to learn. That task grows more difficult and frustrating. Active Shooter Drills and monthly carnage on TV provide a sharp counterpoint to what I try to create. Twelve years later, attacks on schools in the United States have become routine occurrences happening each month. Just as we developed a canned script for police shootings of unarmed black men, we now have rote scripts for school shootings. My congressman was serving up “thoughts and prayers” within five minutes of the news feed about the attack at Margory Stoneman Douglas HS. Scarcely time to formulate a thought or a prayer. Some common denominators in these events are people with evident problems, observed by community members, who fall through the cracks that might trigger an intervention; development of a plan for the attack; availability of a weapon not normally available in a school (albeit a machete or an assault weapon); traumatized kids; bereaved parents and teachers. We should be able to agree on a few things: that attacks on school children and staff are not acceptable; the United States seems to have a much higher incidence of these events than other nations; and that such attacks are happening more and more frequently. Whether or not there is a common will to address the issue is not really clear. I have been distracted all week,by the events in Florida. I have watched the news,listened to the students,parents who will never hug their child again. The argument for and against guns. The blaming of mental illnesses. It is obvious that we need to change something. I asked myself, Whatcan we do?. I I ask myself, How did this young man,find himself, in a place that,let him walk into that school and randomly start to shot people. I don’t know the answer. I hope we can find it.